Last week, whilst on a web trawl of professional services firms for a marketing push, I noticed something rather odd. A large proportion of their brand identities, (particularly accountancy firms) featured mid or dark blue colours. Back in the ’80s and ’90s, blue was also common currency. Nowadays, a larger proportion of SMEs and mid-sized companies have recognised the need for differentiation in their marketplaces. So why are blues still so commonly used, and should professional services firms find alternative ways (and colours) to project a unique and engaging personality? In the western tradition, most of us have in-built associations with colour. 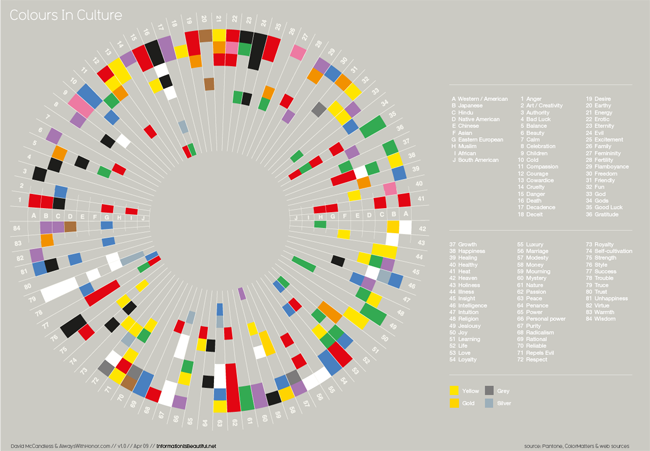 For example, we see reds as ‘action’ colours, greens as more calming, and yellows and oranges as optimistic. Blues are generally seen as trustworthy, competent or authoritative – the sky (on a nice day) is blue, and we hope (trust) that tomorrow will be the same. No wonder, then, that so many companies still employ blues to engender trust in their audiences. However, we all need to be careful when it comes to communicating and doing business elsewhere. For example, in the Middle East, orange is not ‘optimistic’ – it is associated with mourning and loss. You’ll notice that I didn’t say ‘get a new identity’. Try the suggestions first. In some cases though, a new identity may be necessary, but that decision will need to be carefully considered, with respect to your current and planned market positioning. What do you think? Does colour perception matter for your small businesses? Do you agree or disagree with my thoughts? Why not post a comment and let me know. Have you seen #ReverseDesignTip on Twitter? It’s an occasional series of short blog posts on improving design and marketing communications. It is aimed at SMEs, graphic design students and marketing professionals – anyone interested in making communications work better and look good.